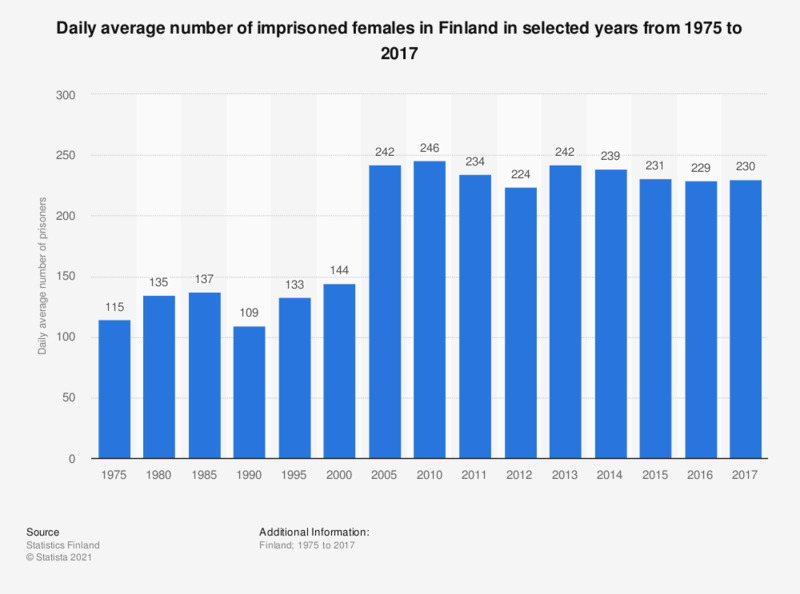 This statistic shows the daily average number of imprisoned females in Finland in selected years from 1975 to 2017. During the period under survey, the daily average number of female prisoners remained roughly the same from 2005 onwards. In 2017, there were 230 women imprisoned on a daily average in Finland.